?Unlock Math Calculator to do maths solutions by taking photo! 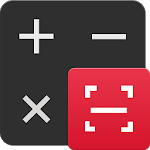 Math Calculator is a useful and easy-to-use calculator pro with basic calculator free and scientific calculator. 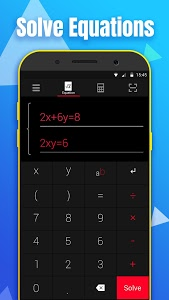 This stylish calculator is also an equation solver and a great maths homework solver which can solve maths problems more efficiently by?CAMERA . 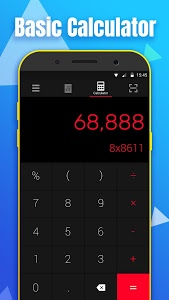 ?This calculator app is developed by a experienced team which has already created a calculator app with 1,000,000+ install volume. 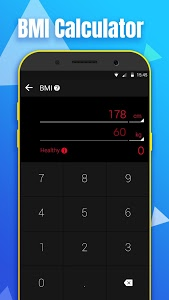 We still devote to developing the best calculator app. DOWNLOAD it right now and try it for FREE! ? ?Basic Calculator: Basic mathematics free functions with percentage. 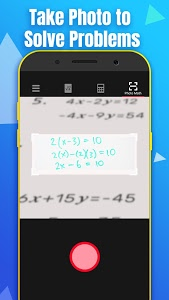 ?Maths Camera: Good maths homework helper which solves maths problems by taking photo. ?Solve Multiple Problems: Solve multi-line math problems at one time. ?Correct wrong answers: Check your answers and correct the wrong ones. ?Scientific Calculator: Based on casio 570. ?Equation calculator: Solve your maths homework efficiently. ?Great design: Nice user interface based on gesture. ?Floating Window: Keep calculating above other apps. ?Vibrate and Sound: Fashion functions that simulates a real calculator. ?Perfectly support?Samsung Galaxy S8, S8 edge, S7, S7 edge, HUAWEI P10, LG Nexus 5X etc. 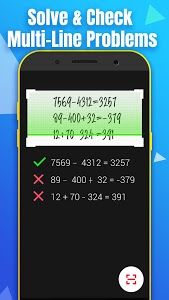 Math Calculator can solve multi-line math problems on one paper at one time.From now on, You don't need to count the math problems by hands one by one. It just takes you 5 seconds to solve more than 10 problems at the same time. 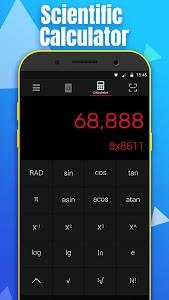 This is not only just a calculator, it's also an useful homework checker. We can help you check your math homework after you finish it. If your answer is wrong, we'll also correct it for you. Similar to "Math Calculator-Solve Math Problems by Camera"